Caution:Failure to apply the lubricant will cause damage to the boltand nut threads. Caution:Support the back side of the case before installing thebearing cup. 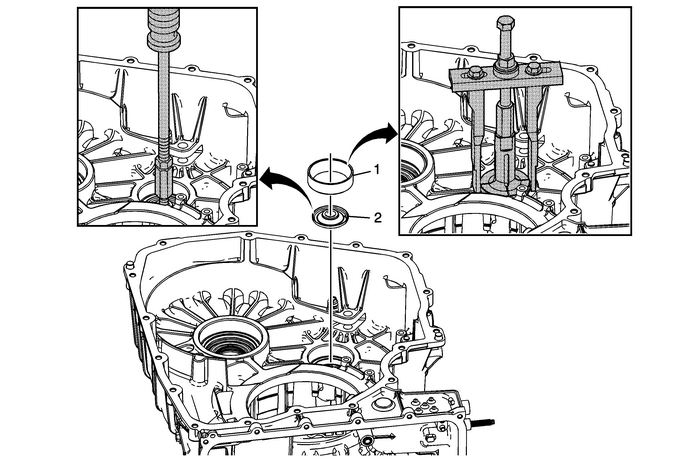 Apply a light coating of transmission fluid to thebore before pressing the cup into position. Install the bearing cupuntil it stops moving. Applying excessive pressure to the bearingcup once it is seated could cause damage to the casecasting. Caution:An unseated or improperly installed bearing cup will resultin premature bearing failure. 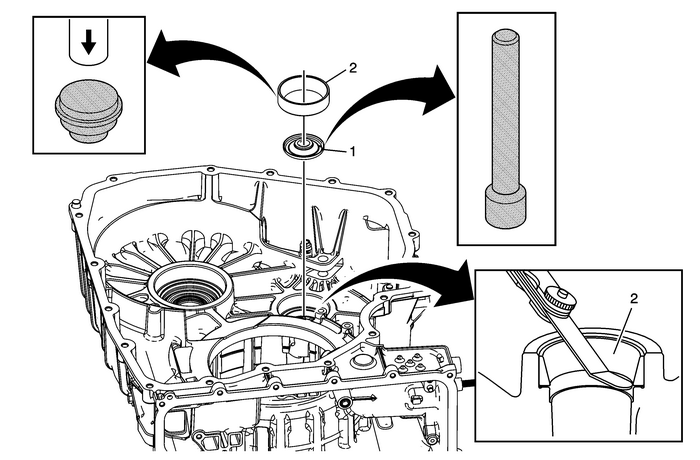 Visually inspect the bearing cup toinsure there is“no gap” between the case,thrust washer, and the bearing cup. Use of a feeler gauge mayassist in identifying a bearing cup that is not fullyseated.